Yesterday was Corin’s last day of preschool. He was a little sad, but he mostly seems excited about moving on to kindergarten. His teachers made him an awesome yearbook binder of photos and art projects from the year. It was so fun to see his progress since last August. Tomorrow is technically the last day of school and graduation, but we’re skipping in favor of a four-day camping trip in Virginia. I figure he’ll have plenty more graduations in his life. For now, I’ll just feel a little nostalgic over the passing of this milestone, and then it’s on to the next thing. Yesterday was also Lina’s last day at Mother’s Day Out. 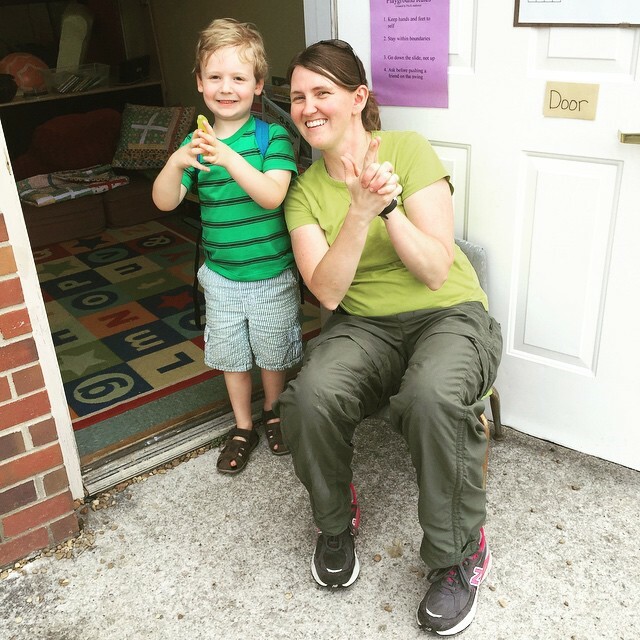 We’re taking the summer off, and then it’s on to the early childhood preschool in September. Of course, by taking the summer off, I mean we’ll be running around to various therapy appointments every week, in addition to potentially being enrolled in a Vanderbilt research study that would involve four appointments a week plus periodic visits to Vandy for progress evaluations. We won’t exactly be kicking back and taking it easy. We’ll also be working very, very hard on the sensory issues at the root of Lina’s hair pulling. We had our first visit with a new OT on Monday, and I am very hopeful she will really be able to help. It will take some time, but I think we could be in a much better place in a few weeks. I can’t tell you how much I need that to be true. We stopped at one of our favorite farmer’s markets yesterday afternoon, and the kids had a great time on the playground. Lina loves the playground, but it is exhausting trying to police her every move. No matter how fast I am, I can’t entirely prevent her from pulling hair. Parents have been so understanding, but what can you really say when your child comes away with a handful of another kid’s hair? Her aggression has spread to pinching and hitting. She is clearly so frustrated and anxious; I think soon we’ll have a much better handle on why and how to help. 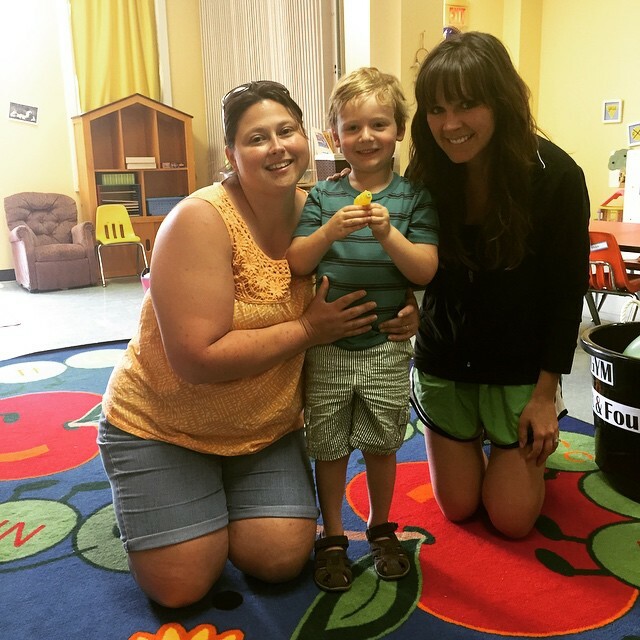 This entry was posted in Uncategorized and tagged down syndrome, grassland mother's day out, hair pulling, sensory issues.